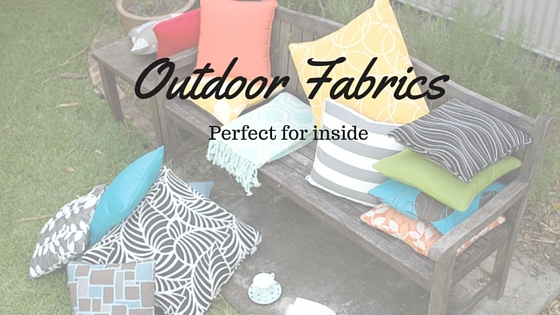 There are a number of great reasons to choose outdoor cushions with quality outdoor fabrics for your indoor areas. The development of high quality olefin fabrics has meant that outdoor fabrics now have more vibrant colours and patterns which can make any area look great. With open plan living areas spilling into modern outdoor areas with large bi-fold or sliding doors, many people are searching for fabrics that can tie both areas together with beautiful styling. The problem is that indoor fabrics simply aren’t robust enough to go the distance outside – the practical solution is to bring your outdoor fabrics in! It maybe as simple as using some of your outdoor throw cushions inside too, these will help to carry your theme and colours throughout your living areas. Quality solution dyed fabrics, designed for outdoors, will not only be more colourfast in outdoor conditions, but it also means that the colours will hold with multiple washing – even if you need to use bleach. 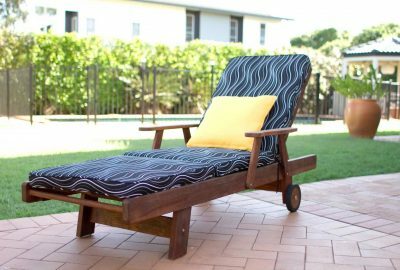 Good quality outdoor cushions will also use zippers and (good quality) stitching – they also have to be up to the task of washing, otherwise the cushion can fall apart. They are generally more resistant to mold and mildew, and offer better stain resistance. This mean that you don’t have to worry about sticky fingers on your indoor fabrics and cushions. They come in a huge range of colours and patterns! Zippers on any cushions – this will make cleaning easier. 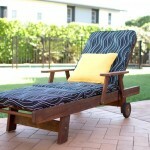 Colours that you can match for your indoors and out!